Patient nonadherence costs the clinical trial industry millions — but innovative new technologies may be able to help. As clinical trial timelines and costs continue to increase year-over-year, biopharma organizations continue searching for new, innovative ways to overcome patient noncompliance. While much time, energy, and resources have already been invested into solutions aimed at improving trial efficiency and data quality, many serious issues continue to go overlooked. It’s worth pointing out that for each day a timeline is extended, it can represent up to $600,000 in lost revenue opportunity for “niche products,” and up to $8 million for blockbuster drugs. As pointed out by Moe Alsumidaie in a recent article for AppliedClinicalTrials, there are a number of activities that factor into clinical trial budgets: these include patient recruitment and retention costs, investigator site fees, per-study fees (data collection, monitoring, sponsor/CRO salaries, vendors, etc.) — the list goes on and on. One factor that often goes overlooked is the financial impact of patient nonadherence. 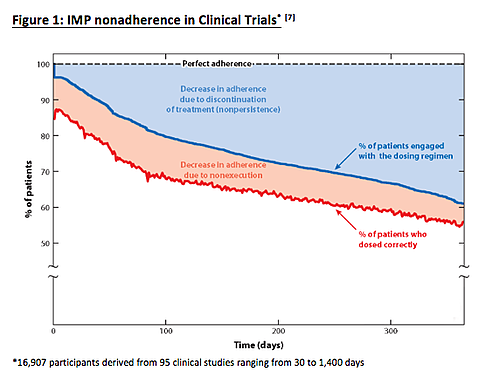 According to Alsumidaie, 40% of patients become nonadherent to investigational medical product (IMP) after 150 days in a given study (see figure 1 below). These increases in data variability mean that trials will need to enroll more patients in order to satisfy the study’s target statistical outcomes, which in turn extends trial timelines and requires more resources for patient recruitment. In other words, if you’re looking to shorten enrollment timelines and keep recruitment costs to a minimum, taking proactive measures to bolster participant adherence is definitely in your best interest. The table below provides a sense of some of the added costs associated with non-adherence, as well as the potential impact of making even a minimal improvement on this front. 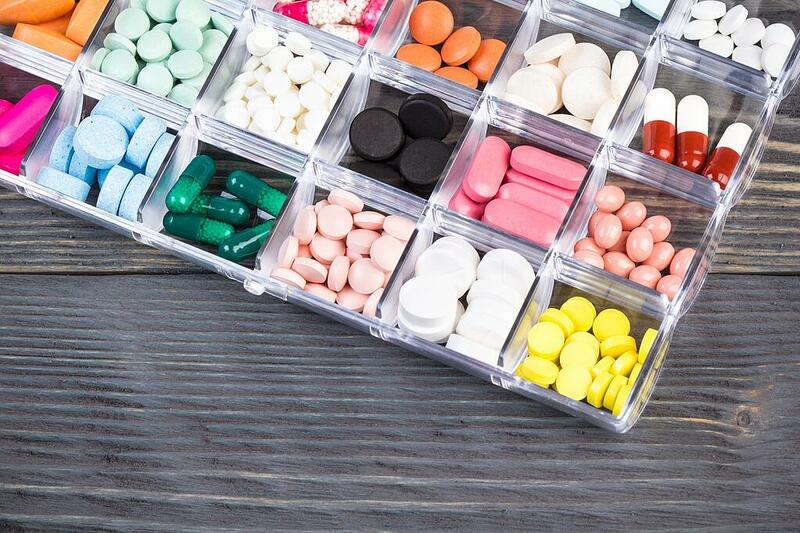 While nonadherence remains a serious issue for trials, a number of innovative new technologies are emerging that could potentially help. A.I. platforms exist that can help guide patients through trials, sending IMP reminders, answering potential questions that may arise, and provide study procedure guidance. Moreover, mHealth and wearable technologies can actually monitor patients’ vitals and adherence remotely. For example, Google has developed a smart wristband that can monitor key trial information like pulse, heart rhythm, skin temperature, light exposure, etc. 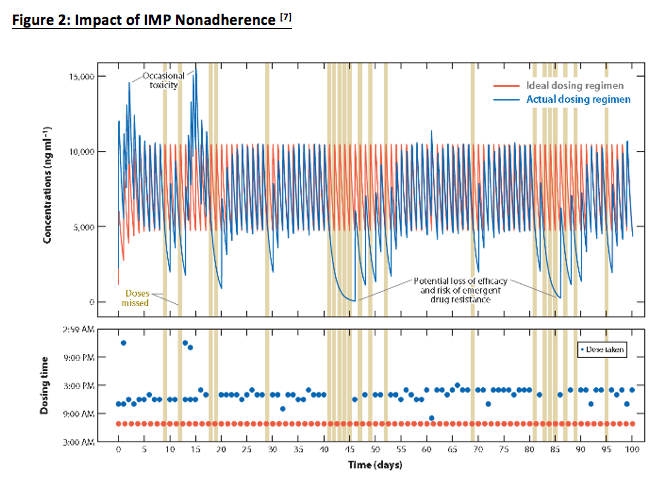 There are even ingestible devices that can track data on drug dosage, dose timing, and a variety of important physiologic responses, then transmit that data to study personnel via the patient’s mobile device. At the end of the day, if we really want to make an impact on shortening trial timelines and keeping costs under control, we need to understand one key thing: each process involved in executing a clinical study is connected, meaning a shortfall in one area will inevitably have a wide-reaching impact. By taking a holistic approach and adopting innovative technologies to address key areas like recruitment, adherence, data collection and sharing, etc., trials can ensure that timelines remain on track and that patients are getting the treatments they need, quickly and efficiently.